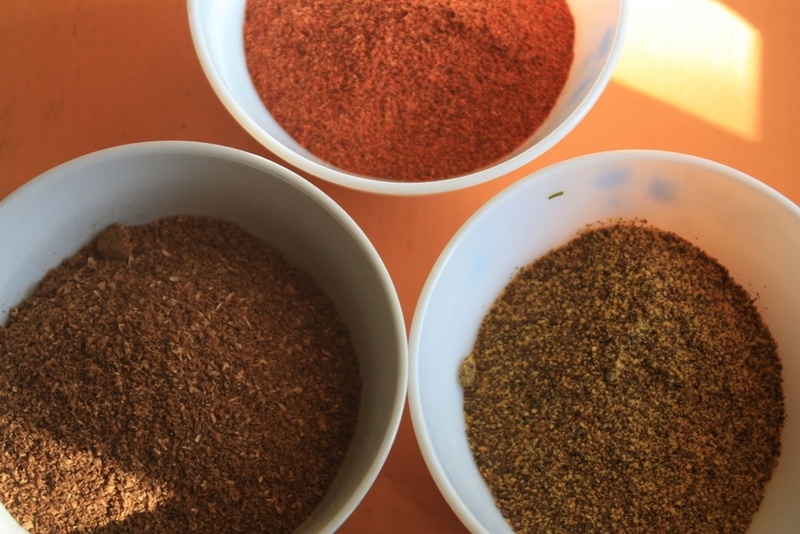 The first step is to get all your dry spices ready for the pickle. Dry roast the coriander seeds in a pan over a low flame till it becomes light brown and grind it coarsely in a grinder. Then grind the mustard seeds into a fine powder and keep it aside. 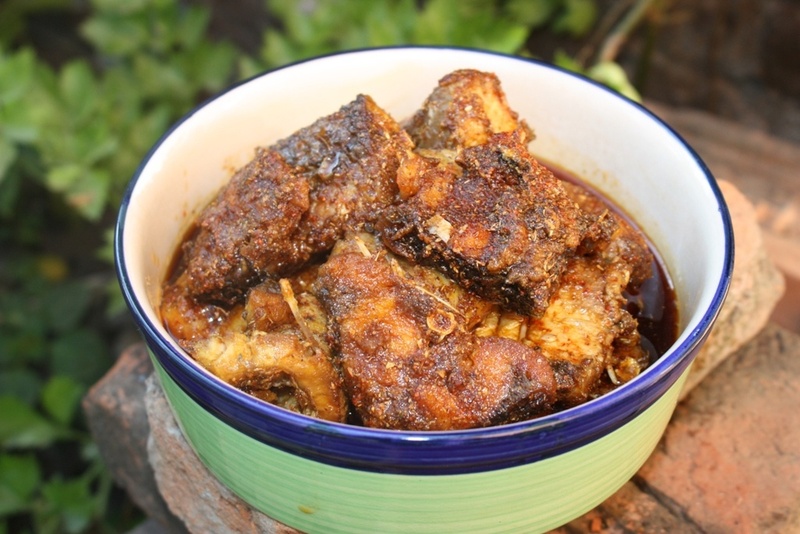 Marinate the fish pieces with turmeric, salt and 1 Tbsp Red Chilli powder and keep it aside for 15-20 mins. Heat the oil in a heavy bottom frying pan and carefully add the fish pieces in the oil and deep fry the pieces for 3-5 mins till they are crisp and golden brown. Do not attempt to fry all the fish pieces in one go. 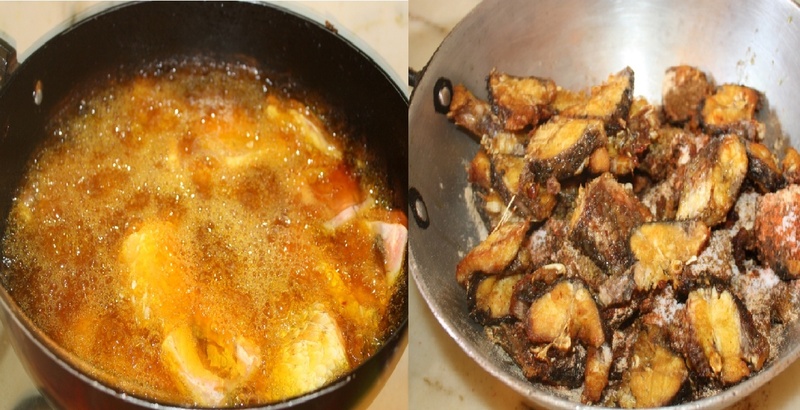 It is always best to fry the fish pieces in batches to get the best results. After the fish pieces are fried, transfer them to a big dish. Generously sprinkle the roasted coriander powder, mustard powder, salt, chilli powder, dry mango powder and ensure that all the pieces are nicely coated with the dry powdered spices. Next, pour the oil that was used for frying, over the fished pieces. Add the vinegar and gently mix the pieces to ensure that the oil coats all the fish pieces. Fish meat is tender therefore, mix the pieces carefully so that they do not break. 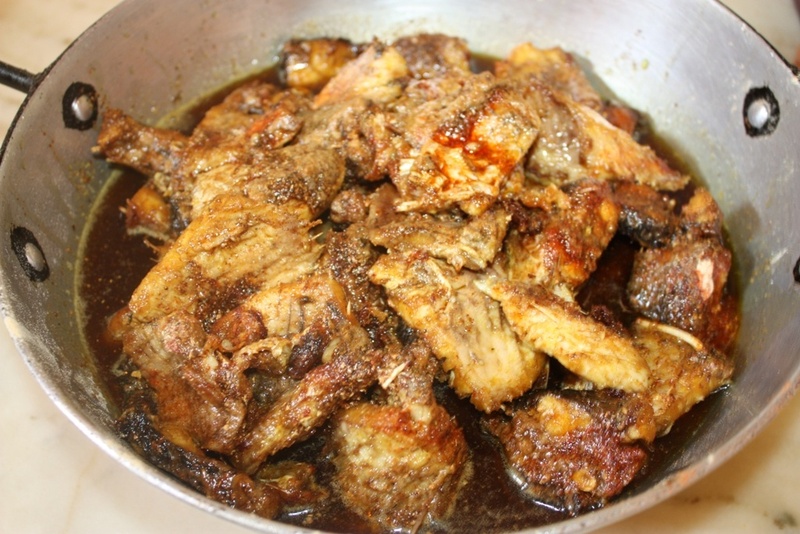 The Fish pieces should be allowed to soak in the oil and spices for about an hour. Adjust the spices ( hot and tangy) and season accordingly to your taste. Once the pickle is cooled transfer to a sealed jar and store it in the fridge. It can be stored for 2 weeks. 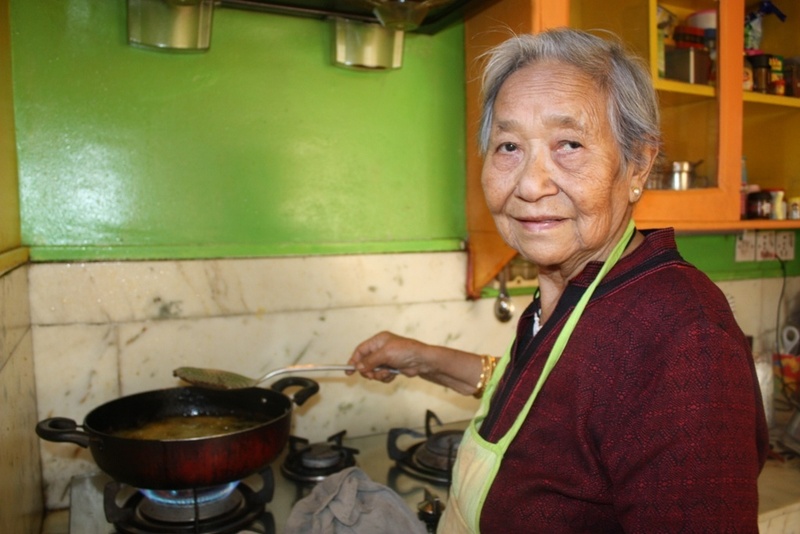 Last but not the least …… a glimpse of my sweet grand mother , who was busy in the kitchen teaching me how to make this pickle ….. while I go click, click with my camera … Happy Cooking ! 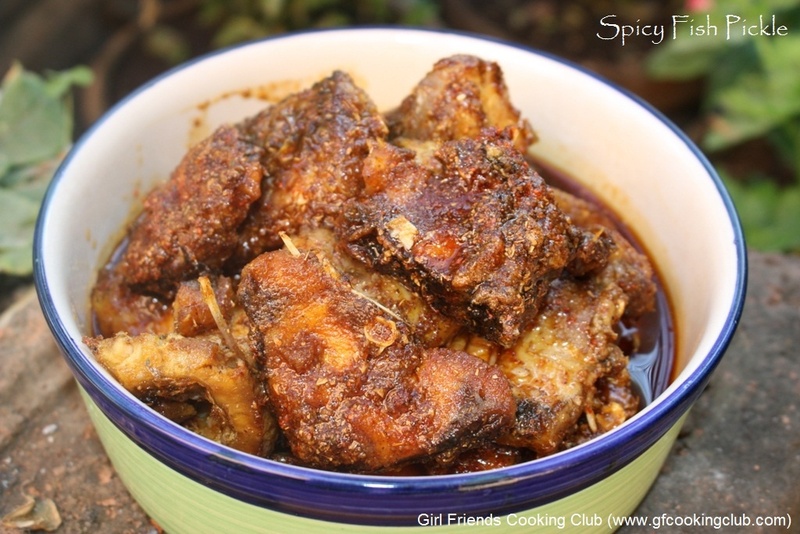 This entry was posted in Fish, Grand Ma's Recipes, Pickles & Chutneys and tagged fish pickle by Kamakshi. Bookmark the permalink.